Yesterday saw the first UK-wide doctors’ strike in decades. It was over proposed changes to their pensions and, although the government tried to play it down and a fair number of doctors showed up for work anyway, there were still thousands of appointments broken and hundreds of non-urgent operations cancelled. Anyone having waited for either to come round knows that can be a matter of month, if not years. “They contribute more to the pension pot and, in the main, work long hours and have a job with great responsibility. I dont think it is too much of a reward at retirement. In comparison to bankers and what Westminster government wastes on Trident, etc. it is a mere drop in the ocean. 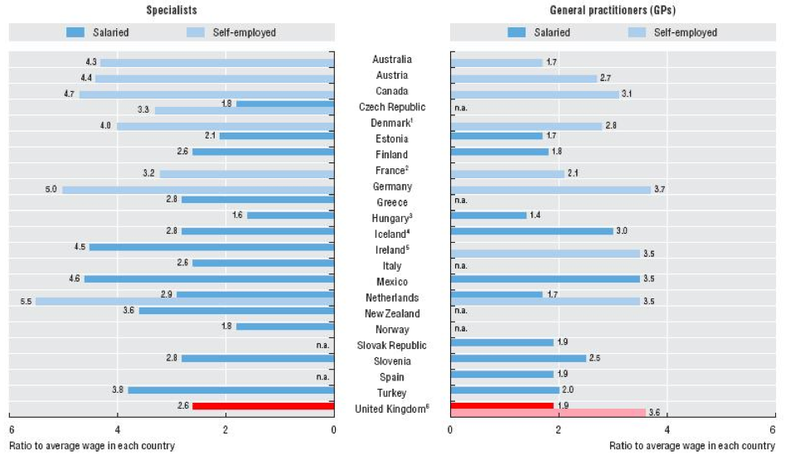 The results show things as at least comparable, with the self-employed (i.e. 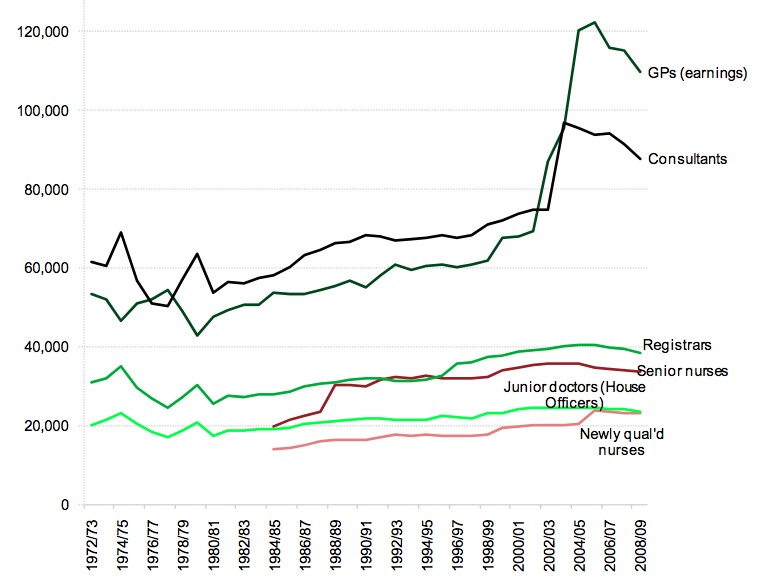 private practice) GPs doinf particularly well by comparison. Those interested in details of UK GP salaries can find them in the NHS publication GP Earnings and Expenses those for hospital doctors are given in Hospital Doctor Pay Scales. Bottom line is that most GPs will earn over £50k before tax, most hospital doctors double that and specialists or Trust CEOs serious six-figure sums. But the dispute was about retirement arrangements. Instead of a lump sum of £162,000 and an annual pension of £68,000 upon retirement, the DWP wants doctors to contribute more, retire later and receive less. While unfair, this is no more than thousands of council workers, teachers, firemen and other public servants are being asked to do. All have complained, some have taken strike action. Many of them (including doctors’ supporters) will agree with the assertion above, that “Westminster’s squandering of money” could provide the necessary finance. Trouble is, one man’s squander is another man’s defence system and, given the failure to date of either copious borrowing or quantitative easing to halt our fiscal slide, Osbo has no real room to maneuver—even if he wanted to. So, solid though the doctors’ case may be that they had a deal, so did everyone else. And, since they pull down at least twice average earnings and would not get any better pay elsewhere, why they should not take some of the pain too seems a reasonable question. This entry was posted in Commerce, Community. Bookmark the permalink.